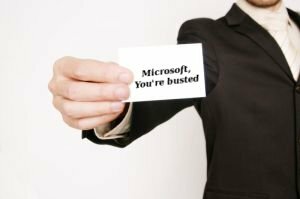 Let’s look at articles and posts from the past couple of days to find new evidence of Microsoft breaking the law. IE 8 is bad enough on it’s own merits, but Microsoft has sank pretty damned low in turning it into a borderline trojan horse/spyware/browser search hijacker. A source says that ASUS has admitted receiving kickbacks from Microsoft to kick GNU/Linux and another source says that Microsoft sells Windows below cost in order to just harm competition (GNU/Linux). Intel committed similar offences and in addition to this, says one person, Microsoft’s hardware limitations are to be treated as an antitrust violation. Why Aren’t Hardware Limits on Netbooks an Anti-Trust Violation? Continuing on today’s theme of asking dumb questions about areas of law I don’t know enough about, here’s a question about anti-trust law, spurred by the news that Administration Plans to Strengthen Antitrust Rules. Why isn’t this illegal? Don’t the anti-trust laws prevent a software maker with a dominant position from dictating hardware to pc makers in order to protect the market share of a different product? As long as people allow M$ technologies to be used in their work place, the anti-trust violations will continue to grow in number and severity. A zero tolerance policy is needed. Using M$ products is an endorsement of bad technology, bad business and bad ethics. What’s with M$ attempt at selling debt? Are they now failing to make money from trading their own stock?